So many great places to fish in Michigan during the spring! This weekend we spent Memorial Day fishing in Northern Michigan for largemouth and smallmouth bass, as well as some other bonus warm water fish. Its also a great time to take the kids fishing with lots of action as the fish are very aggressive this time of year preparing to spawn. 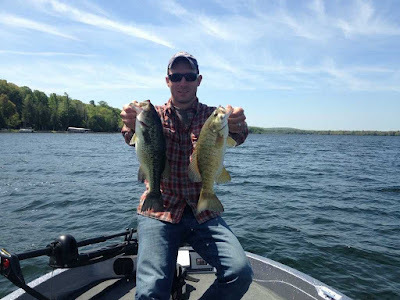 Looks for rocky areas to find the smallmouth, largemouth in the weeds and other types of cover.